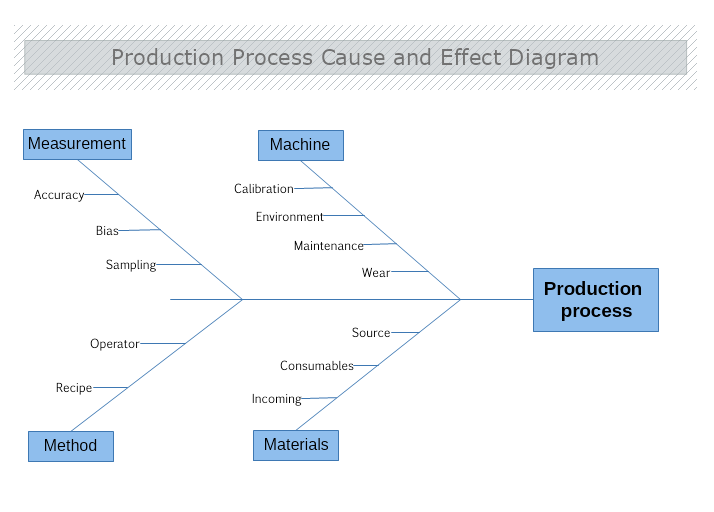 This diagram shows four of the major production process elements. Those factors constitute the causes, which influence the quality coefficient of the final result, of a production process. The main elements are measurements, methods, machines and materials. They are fragmented in smaller and easier to observe causes. Use MyDraw and customize this template in minutes to describe your production processes and track down where your issues might be coming from.